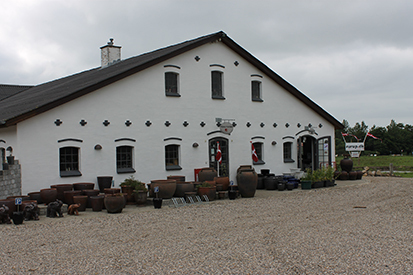 Despite its location deep in the heart of the South Jutland countryside, Rurup Gårdbutik (farm store) sells its products to quality-conscious food lovers all over Denmark. On the farm, owner Ove Baagø and his dog Sigurd are ready to help shoppers find the perfect cut of meat – and a wine to go with it. are available to order online, where shoppers can also find suggestions for recipes. However, a trip around the premises itself is required to get the full farm store experience – complete with owners Baagø and Sigurd the labrador.